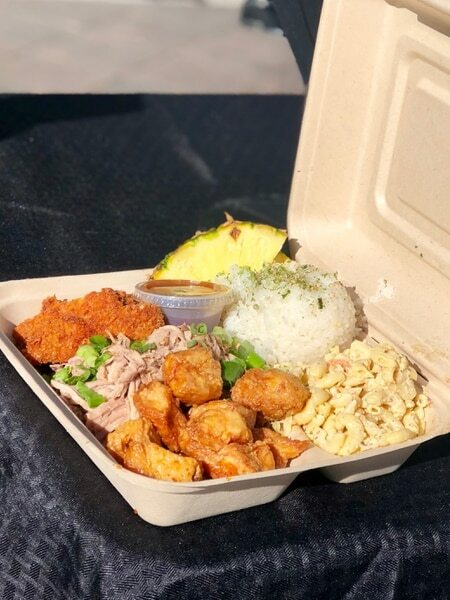 (Brodi Ashton | For The Salt Lake Tribune) A lunch plate at The Salty Pineapple Food Truck in Salt Lake City. (Brodi Ashton | For The Salt Lake Tribune) The Salty Pineapple Food Truck won $10,000 on a recent episode of Big Food Truck Tip on Food Network. 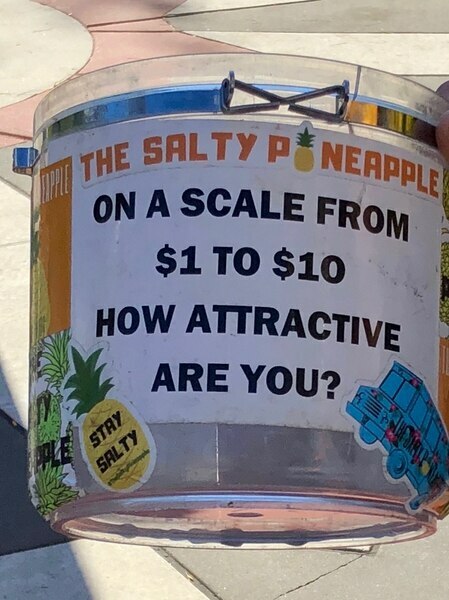 (Brodi Ashton | For The Salt Lake Tribune) The tip jar at The Salty Pineapple Food Truck (Brodi Ashton | For The Salt Lake Tribune) Daysha Filipe and her Salty Pineapple Food Truck won $10,000 on a recent episode of Food Network's Big Food Truck Tip. (Brodi Ashton | For The Salt Lake Tribune) The Kahlua pork plate at The Salty Pineapple Food Truck. (Brodi Ashton | For The Salt Lake Tribune) The Salty Pineapple Food Truck won $10,000 on a recent episode of Big Food Truck Tip on Food Network. 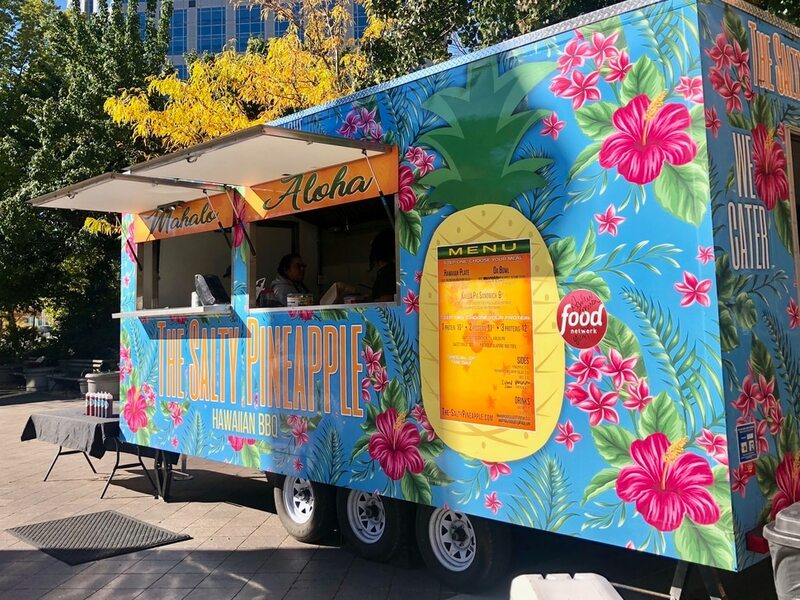 When Daysha Filipe’s food truck The Salty Pineapple was featured on the Food Network earlier this month, she had no idea a $10,000 tip was at stake. By the end of filming for the “Big Food Truck Tip,” though, it was clear she and her crew had won the grand prize. “I had no idea it was a contest,” said Filipe, adding that it took several days, and the check to clear, before it sunk in that she had indeed won the money to invest in her Hawaiian barbecue business. She plans to use the cash to open a brick-and-mortar restaurant. Filipe competed against fellow Salt Lake City food trucks Havana Eats, which serves Cuban-inspired dishes, and Nella, a wood-fired pizza truck, for the money. During each episode of “Big Food Truck Tip," Zimmern travels to a different U.S. city in search of food truck entrepreneurs chasing the American dream. In each location, three operators share their dishes and stories. Zimmern then gives one deserving culinary dreamer a $10,000 tip to help take that business to the next level. While food quality is important, Zimmern is looking at the owners’ background and what they can contribute to the community. Filipe comes from a family of restaurant owners. Her Pacific Islander grandparents owned and operated the Lanikai Grill in South Jordan. When Filipe returned home to Utah after college in Seattle, she wanted to continue the tradition, but she worried that the word “Lanikai” would be difficult for many mainlanders to pronounce. She combined Salt Lake City with her favorite cooking ingredient and started The Salty Pineapple, serving kalua pork and sweet garlic chicken — a recipe from her father. Their scheduled stops can be found at The Salty Pineapple’s Facebook page, https://www.facebook.com/thesaltypineappletruck/.